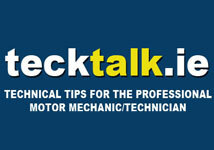 Over the last 15 years the service intervals for replacing timing belts has increased significantly. Goodyear is continuously developing new materials and compounds to improve the durability and performance of their timing belts. These are manufactured using three basic elements: Rubber compound, Cord and Fabric. Each of these 3 components have to be optimised to achieve a certain level of performance in isolation and in combination with the other components that make up the belt. 1. Rubber – there are many polymers available to an engineer, but only a few of them are suitable and the latest generation is HNBR or HSN (replacing the previous generation Chloroprene or Neoprene). The main characteristic of this polymer is to provide the compound with exceptional heat resistance, therefore preventing the formation of cracks over time. The transition and the optimisation from Chloroprene to HNBR has required stringent and exhaustive testing. 2. 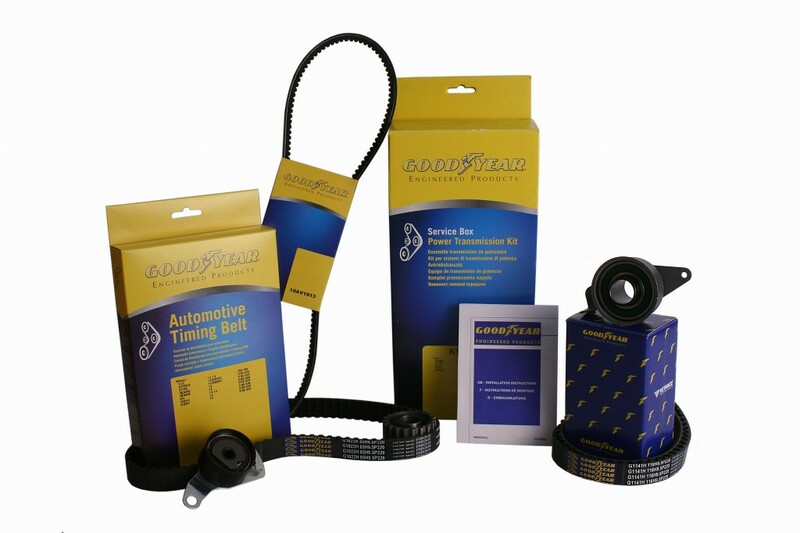 Cord – this is the element of the timing belt that resists the pulling/elongation force. The cord is made of micro glass filaments twisted together to form a kind of string. Glass cord has a very high tensile strength but is fragile if crimped, especially when the fibers are so thin. This is why all manufacturers recommend avoiding crimping the belt. High tensile strength is essential to reduce belt elongation and is a critical requirement in ensuring accurate pitch between the teeth of the belt and those of the sprocket. 3. Fabric – this has the function to provide low belt abrasion and reduce the friction between the belt and pulley. Nylon construction with a rubber coating is the standard specification but there are many variations and to cover the entire range of timing belt applications there are more than 10 different fabrics from light to heavy construction. These are used in a variety of combinations to achieve the desired characteristics of strength and flexibility to suit specific engine requirements. Prior to the advent of automatic tensioners the most common way to tension a belt is by a movable eccentric pulley that enables installation and manual tensioning of the belt. To ensure the belts are tensioned correctly many belt manufacturers offer a frequency meter or similar device. The tensioner must be set and the belt tension tested, ideally with a sonic belt tension tester and then adjusted until the system is within manufacturer specifications.